Stampin' Up! 's Inspire Create Share 2014 was wonderful as always. The convention was well paced and we had time for learning, being with friends, swapping and getting a sneak peek at the Holiday catalog! This was the first year where we could buy some of the items from the Holiday catalog at convention. Needless to say, with the free product we get at convention, gifts, swaps and shopping at the convention store, I came home with more than I started out with. LOL! At Inspire Create Share 2014, Stampin' Up! provides all of these display boards with samples of new product. While I can't share pictures of the new product until it is available, starting August 28, I can show you some of the samples using items from the new Holiday catalog. 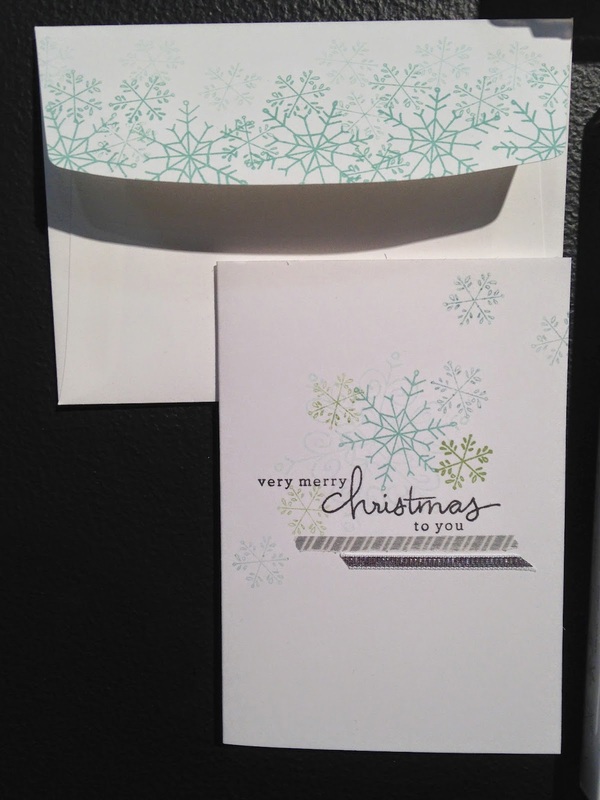 This card uses the single stamp, Bearing Gifts. Notice the small, sparkling stars? Those come from a new star punch! 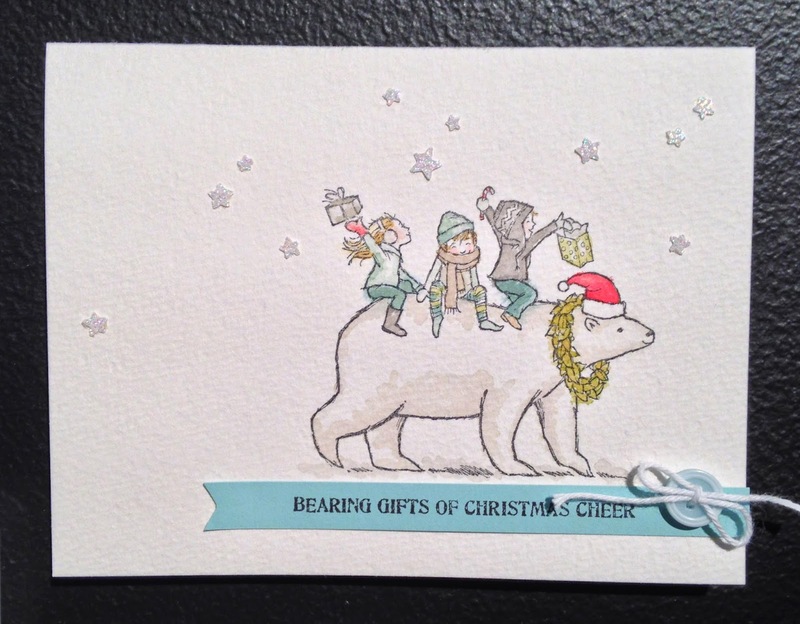 This stamp set, White Christmas, is on my wish list. 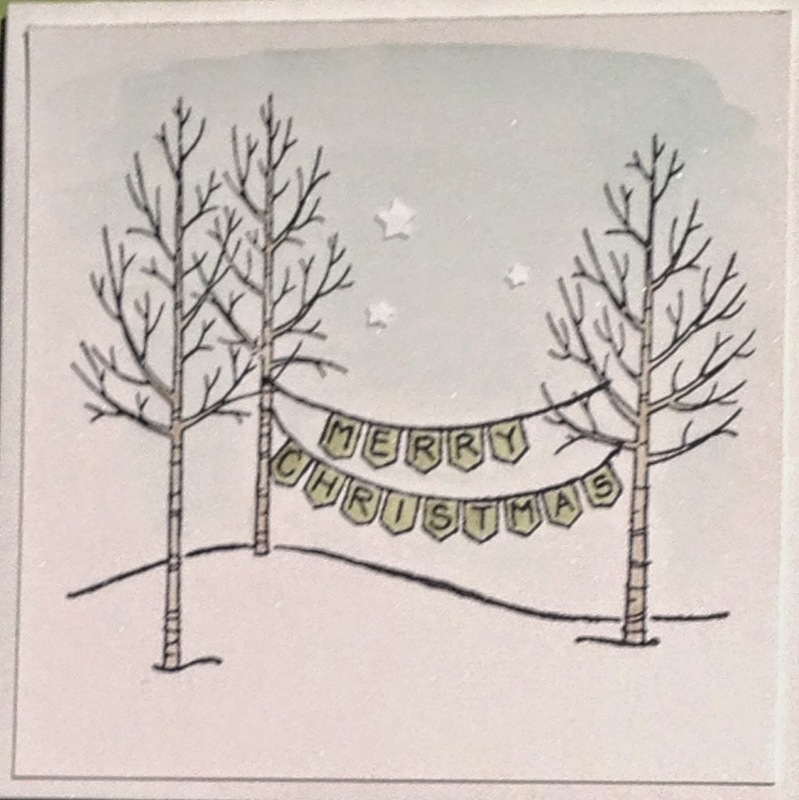 It's a clear photopolymer stamp set which makes it easier to line up the different images, in this case the Merry Christmas banner between the trees. And there are those little stars again! Recognize this stamp set, Endless Wishes? It sold out in just a few weeks last year. So glad it's back! 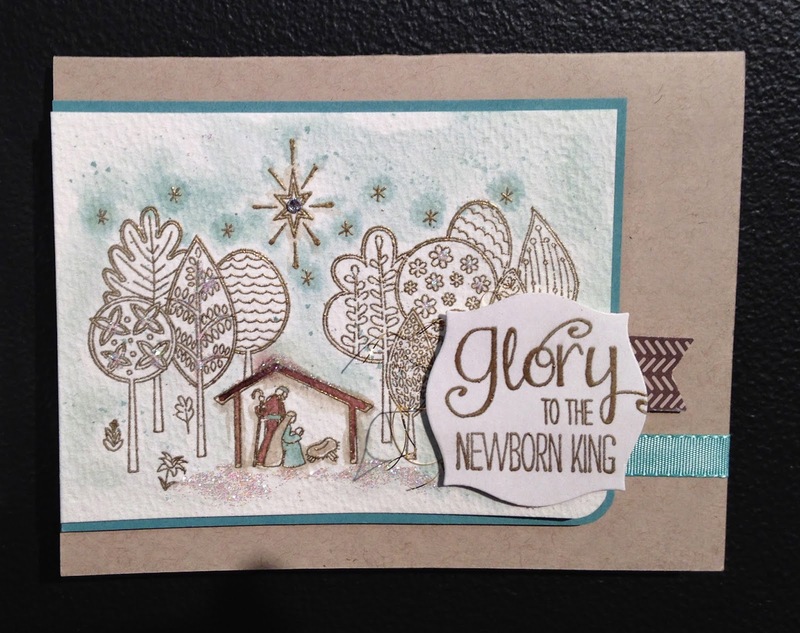 The Newborn King stamp set is a wonderful way to celebrate Christmas!